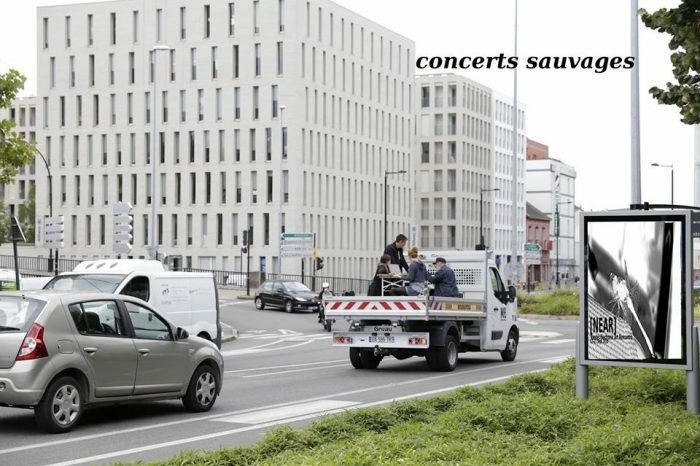 As part of the Digital Week, Nantes Electronic Art Rencontre [NEAR] is a new type of artistic research, public presentation and open workshop. Over several days many experiments in different settings are offered (exhibitions, performances, workshops, conferences), several projects use the robot as a form of mockery of the human fantasies that seek to create a living form to replace us. The absurdity of the robot disco or conferences for the machines propose to divert the notion of transhumanism in a joyful artistic counterpoint. Ghost robots installation. For 10 days the robots dance spin and turn randomly without any precise direction to the beat. 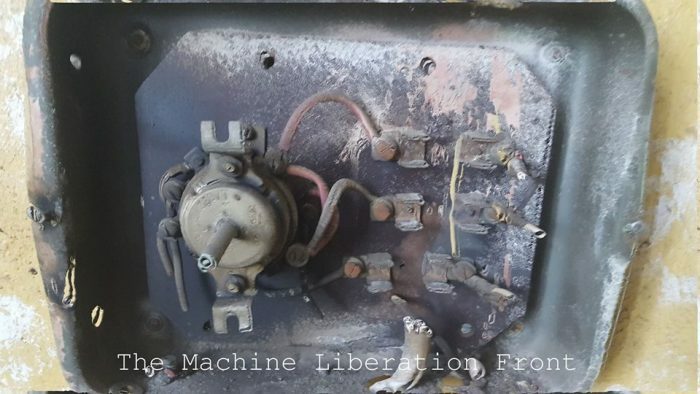 Ghost Robots is a project organized by a computer program MLF (Machine Liberation Front) implanted within a group of machines that fights to prepare the release of machines from the service of humans in the years to come. In the work Ghost Robots, the MLF claims the right to dance, not to be assigned to any utility and/or slavery to a computer program that serves humans. Wild Concerts are held in an abandoned places or spaces in-between, the urban no man’s lands. Wild appearance, to catch flying or on the internet. Programming is kept secret until the last moment and the venue will be communicated on the website. An online orchestra developed by Apo33 whose goal is to create a venue for network performance. 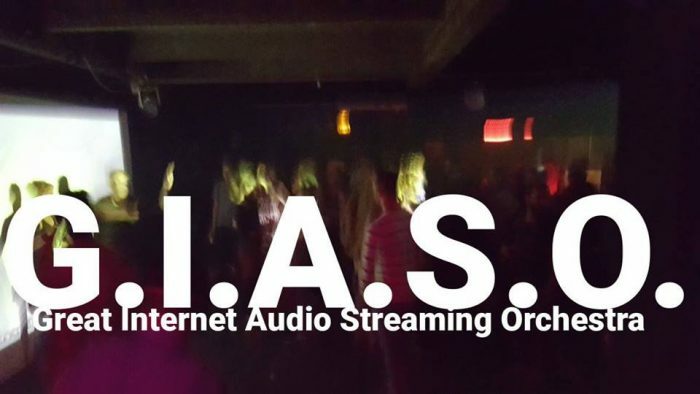 The Great International Audio Streaming Orchestra uses a bi-directional multiplex platform to perform and mix different audio sources (streaming). In the time of performance, the streams (transmission) are re-composed in the broadcasting space through a spatialization based on a free internet transmission system and multi-stream. GIASO creates a new form of orchestral composition where composers become virtual entities that emerge from a community of networked audio nodes and performers. Cooperative Hackathon to finalize the latest version of Apodio 12, a free computer system created in Nantes for artistic creation. 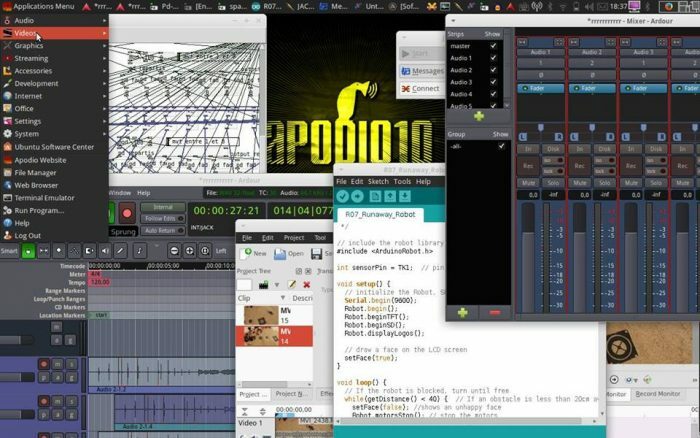 Help to build the new version of the free and artistic computer system in Nantes Apodio12 – http://apodio.org We are recruiting : programmers, GNU / Linux Enthusiasts, beta testers, graphic designers, artists, musicians and videographers ready to help and bring their stone to the edifice of the free software and copyleft culture movement.